Dr Duy Ngo is tackling some of the most pertinent research questions within broadband wireless communications. This area requires multiple skill sets, including knowledge of complex international standards, practical features of real world systems and mathematical agility to solve extremely intricate, large scale optimisation problems. He's asking how and why, and what if, using mathematics to efficiently allocate the limited radio resources and maximise network performances. The winner of the 2015 Vice-Chancellor's Award for Research and Innovation Excellence for the Faculty of Engineering and Built Environment, is similarly employing optimisation theory to effectively manage signal interferences. "There is an urgent need to substantially increase data throughput," he elaborates. "We generate too much data currently so the communication network is overloaded." "Every year the amount of data is doubled – how do we cope with that?" "In 2020 it's projected this will jump by 1000 times." Working to provide "faster, smarter and longer-lasting" wireless solutions, Duy acknowledges these problems are also chances for industry renewal and growth. "It's about creating ideal trade-offs," he contends. "Boosts in signal transmit power don't automatically mean boosts in data quantity." Duy came to Australia in 2003, when he undertook a Bachelor of Engineering degree at the University of New South Wales. Four years later, the University medallist relocated to Canada, commencing a Master of Science degree at the University of Alberta. "I followed up these academic efforts with a PhD at McGill University, where I was involved in a collaborative research and development project with Blackberry," he recalls. "During this multi-year probe, I mathematically modelled the communication network and used optimisation theory to solve key issues related to interference management." "Computers allowed me to generate large-scale numerical examples to verify my findings." "In the end, I came up with several novel algorithms that were later published in the top journals of the Institute of Electrical and Electronics Engineers (IEEE)." Duy joined the University of Newcastle immediately after receiving his doctorate in 2013, signing on to become a lecturer within its School of Electrical Engineering and Computer Science. He's since spearheaded a number of research projects, most recently investigating the pros and cons of small-cell 5G networks. "They've been suggested as one way of meeting widespread demand for pervasive wireless access," the expert explains. "Basically, we would bring cell phones closer to the base station or access point." "If we deploy a lot of them, however, signal interferences will be strong and unpredictable." Of "significant" value, Duy's work in this area is set to benefit all leading telecommunication corporations, including Huawei and Qualcomm. "I've successfully resolved several long-standing, non-convex combinatorial problems for power control and channel assignment," he affirms. "For the first time, I've devised globally optimal radio resource management algorithms too." "These are of extremely low complexity and offer very high throughput for large-scale networks." A proven master at multitasking, Duy is also exploring the ins and outs of wireless energy harvesting. Contributing to the realisation of the 'Internet of Things,' he's proposing new power allocation and energy beamforming methods that maximise the amount of data transmitted to mobile devices whilst wirelessly and optimally charging those devices. "We want to connect everything together, not just computers," the early career researcher asserts. "This simultaneous wireless information and power transfer will assist many different fields." "Heart-monitoring implants, biochip transponders and built-in car sensors would no longer need their batteries replaced, for example." An active collaborator, Duy is in the process of identifying ways to "cut the last wire" as well. "We're exploring options to make the wireless-powered network a reality," he states. Similarly invested in vehicular networks, Duy has newly developed "advanced road safety communication solutions" too. "I've created multi-hop transmission protocols that autonomously broadcast messages to all moving cars, trucks and buses with very low end-to-end delay and a very high success rate," he shares. "These will be particularly useful and important when Google and Tesla rollout their self-driving vehicles in the future." With "ups and downs" in this arena experienced over the last decade, Duy is promising to ensure Australia "keeps up" with what is happening abroad. "I am a Chief Investigator in an Australian Research Council Linkage Grant with Ericsson AB in Sweden, the world's leading LTE network vendor," he advises. "I'll be designing feedback control and optimisation algorithms for 5G." "Work will begin in early 2016." Interested in a PhD in Computer Engineering? Duy Trong Ngo came to Australia in 2003 for undergraduate study under the prestigious Australian Development Scholarship scheme. In March 2007, he received the B.Eng. degree (with First-class Honours and the University Medal) in Telecommunication Engineering from The University of New South Wales, Sydney. Seeking for more international research experience, he then relocated to Canada for graduate studies. At the University of Alberta, he worked with Prof. Chinthananda Tellambura under the Alberta Ingenuity Fund Scholarship and obtained the M.Sc. degree in Electrical Engineering (Communication) in November 2009. In the same year, he moved to Montreal, Quebec to attend McGill University as well as to experience French Canada. Advised by Prof. Tho Le-Ngoc and supported by the prestigious Alexander Graham Bell Canada Graduate Scholarship for Doctoral Studies, he received the Ph.D. degree in Electrical Engineering in November 2013. Since July 2013, Dr. Ngo has been a tenured academic with the School of Electrical Engineering and Computing, The University of Newcastle, where he is now a Senior Lecturer in Telecommunications. During 2013-14, he was awarded the honourary titles of "Natural Sciences and Engineering Research Council (NSERC) Postdoctoral Fellow" by the Government of Canada and "Fonds de recherche du Quebec - Nature et technologies (FQRNT) Postdoctoral Fellow" by the Government of Quebec. During October 2014, he was a Visiting Professor at the University of Alberta, Canada. During October 2015, he was a Visiting Research Professor at the Research Center for Wireless Energy Harvesting Communications, Sungkyunkwan University, South Korea. His broad research interest is in the design and optimisation for wireless communications networks. At The University of Newcastle, Dr. Ngo received the Vice-Chancellor's Award for Research and Innovation Excellence for the top #1 Engineering and Built Environment early-career researcher in 2015. Within the Faculty of Engineering and Built Environment, Dr. Ngo received the Pro Vice-Chancellor's Award for Research Excellence in 2015, and the Pro Vice-Chancellor's Award for Teaching Excellence in 2017 for contributions to teaching and the support of learning that influence, motivate and inspire students to learn. He is a proud Vietnamese-Canadian Australian. At The University of Newcastle, he leads a research team that works on some currently most active areas of the fifth-generation (5G) wireless networks, e.g., cloud/fog radio access networks, mobile edge computing, simultaneous wireless information and power transfer, and vehicle-to-everything (V2X) communications for intelligent transportation systems. Analog and Digital Communications; Electrical Engineering Design; Introduction to Engineering Practices; Wireless Communications. 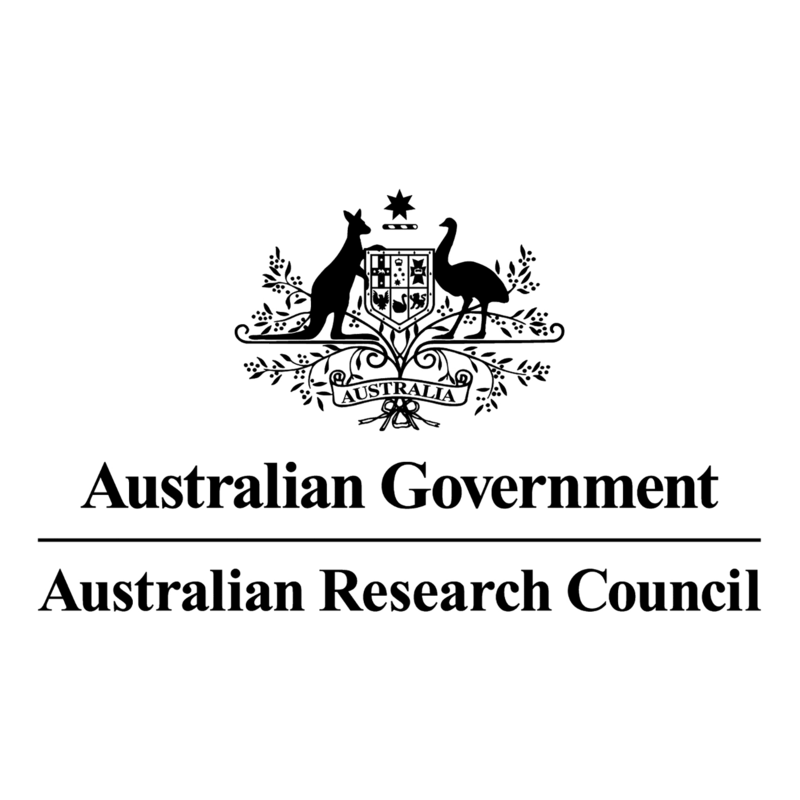 He maintains active collaborations with several telecommunications research groups in Australia (Australian National University, University of Technology Sydney), Canada (McGill University, University of Alberta, Universite du Quebec), Japan (Nara Institute of Science and Technology), Finland (Aalto University), South Korea (Sungkyunkwan University, KyungHee University) and the USA (Princeton University). © 2016 IEEE. In this paper, new strategies are devised for joint load balancing and interference management in the downlink of a heterogeneous network, where small cells are densely deployed within the coverage area of a traditional macrocell. Unlike existing work, the limited backhaul capacity at each base station (BS) is taken into account. Here, users (UEs) cannot be offloaded to any arbitrary BS, but only to ones with sufficient backhaul capacity remaining. Jointly designed with traffic offload, transmit power allocation mitigates the intercell interference to further support the quality of service of each UE. The objective here is either: 1) to maximize the network sum rate subject to minimum throughput requirements at individual UEs, or 2) to maximize the minimum UE throughput. Both formulated problems belong to the difficult class of mixed-integer nonconvex optimization problems. The inherently binary BS-UE association variables are strongly coupled with the transmit power variables, making the problems even more challenging to solve. New iterative algorithms are developed based on an exact penalty method combined with successive convex programming, where the binary BS-UE association problem and the nonconvex power allocation problem are dealt with one at a time. At each iteration of the proposed algorithms, only two simple convex problems need to be solved at the same time scale. It is proven that the algorithms improve the objective functions at each iteration and converge eventually. Numerical results demonstrate the efficiency of the proposed algorithms in both traffic offloading and interference mitigation. © 1972-2012 IEEE. Information and energy can be transferred over the same radio-frequency channel. In the power-splitting (PS) mode, they are simultaneously transmitted using the same signal by the base station (BS) and later separated at the user (UE)&apos;s receiver by a power splitter. In the time-switching (TS) mode, they are either transmitted separately in time by the BS or received separately in time by the UE. In this paper, the BS transmit beamformers are jointly designed with either the receive PS ratios or the transmit TS ratios in a multicell network that implements wireless information and power transfer (WIPT). Imposing UE-harvested energy constraints, the design objectives include: 1) maximizing the minimum UE rate under the BS transmit power constraint, and 2) minimizing the maximum BS transmit power under the UE data rate constraint. New iterative algorithms of low computational complexity are proposed to efficiently solve the formulated difficult nonconvex optimization problems, where each iteration either solves one simple convex quadratic program or one simple second-order-cone-program. Simulation results show that these algorithms converge quickly after only a few iterations. Notably, the transmit TS-based WIPT system is not only more easily implemented but outperforms the receive PS-based WIPT system as it better exploits the beamforming design at the transmitter side. © 2016 IEEE. We consider the joint design of transmit beamforming and receive signal-splitting ratios in the downlink of a wireless network with simultaneous radio frequency information and energy transfer. Under constraints on the signal-to-interference-plus-noise ratio at each user and the total transmit power at the base station, the design objective is to maximize either the sum harvested energy or the minimum harvested energy. We develop a computationally efficient path-following method to solve these challenging nonconvex optimization problems. We mathematically show that the proposed algorithms iteratively progress and converge to locally optimal solutions. Simulation results further show that these locally optimal solutions are the same as the globally optimal solutions for the considered practical network settings. © 2016 IEEE. This paper designs jointly optimal linear precoders for both base stations (BSs) and users in a multiuser multi-input multi-output (MU-MIMO) multicell network. The BSs are full-duplexing transceivers while uplink users and downlink users (DLUs) are equipped with multiple antennas. Here, the network quality-of-service (QoS) requirement is expressed in terms of the minimum throughput at the BSs and DLUs. We consider the problems of either QoS-constrained sum throughput maximization or minimum cell throughput maximization. Due to the nonconcavity of the throughput functions, the optimal solutions of these two problems remain unknown in both half-duplexing and full-duplexing networks. The first problem has a nonconcave objective and a nonconvex feasible set, whereas the second problem has a nonconcave and nonsmooth objective. To solve such challenging optimization problems, we develop iterative low-complexity algorithms that only invoke one simple convex quadratic program at each iteration. Since the objective value is proved to iteratively increase, our path-following algorithms converge at least to the local optimum of the original nonconvex problems. Due to their guaranteed convergence, simple implementation, and low complexity, the devised algorithms lend themselves to practical precoder designs for large-scale full-duplex MU-MIMO multicell networks. Numerical results demonstrate the advantages of our successive convex quadratic programming framework over existing solutions. © 2014 Elsevier Inc. The periodic generation and transmission of basic safety messages (BSM) place a heavy burden on the load of a vehicular ad hoc network (VANET), where there also remain multiple packet collisions undetected due to the hidden terminals. In this paper, we propose a distributed scheme that controls the spatial reuse distance to improve the efficiency of BSM transmissions in space-division multiple access (SDMA) based VANETs. With the proposed SDMA structure, only vehicles located sufficiently far apart are allowed to reuse the same time slot to send their BSMs. The signal interference is thus reduced while the hidden-node problem is essentially alleviated. Multiple transmissions per SDMA road segment or &apos;cell&apos; are also enabled using the Carrier Sense Multiple Access with Collision Avoidance (CSMA/CA), giving rise to a much better use of both space and bandwidth. To guarantee that the actual number of BSM transmissions does not exceed the maximum allowable in each SDMA cell, we further devise an adaptive scheme that adjusts the spatial reuse distance in accordance with the vehicle density. Because the global information of vehicle density is not available at individual vehicles, we propose a distributed algorithm that estimates the vehicle density and makes consensus to enhance the accuracy of spatial reuse distance estimation. As the transmission range is controlled accordingly, the mutual interference among the SDMA cells is further reduced. Importantly, the developed control algorithm can be distributively implemented by each vehicle with limited information exchange. To optimize the performance of the proposed solution, we also determine the optimal bandwidth utilization that maximizes the newly-defined criterion termed as &apos;safe range,&apos; an important figure-of-merit in vehicular safety applications. Simulation results confirm the clear advantages of our proposal over the available approaches in terms of safety range, packet reception rate, end-to-end delay and BSM inter-arrival time in realistic network scenarios. In this paper, we propose a joint subchannel and power allocation algorithm for the downlink of an orthogonal frequency-division multiple access (OFDMA) mixed femtocell/macrocell network deployment. Specifically, the total throughput of all femtocell user equipments (FUEs) is maximized while the network capacity of an existing macrocell is always protected. Towards this end, we employ an iterative approach in which OFDM subchannels and transmit powers of base stations (BS) are alternatively assigned and optimized at every step. For a fixed power allocation, we prove that the optimal policy in each cell is to give each subchannel to the user with the highest signal-to-interference-plus-noise ratio (SINR) on that subchannel. For a given subchannel assignment, we adopt the successive convex approximation (SCA) approach and transform the highly nonconvex power allocation problem into a sequence of convex subproblems. In the arithmetic-geometric mean (AGM) approximation, we apply geometric programming to find optimal solutions after condensing a posynomial into a monomial. On the other hand, logarithmic and difference-of-two-concave-functions (D.C.) approximations lead us to solving a series of convex relaxation programs. With the three proposed SCA-based power optimization solutions, we show that the overall joint subchannel and power allocation algorithm converges to some local maximum of the original design problem. While a central processing unit is required to implement the AGM approximation-based solution, each BS locally computes the optimal subchannel and power allocation for its own servicing cell in the logarithmic and D.C. approximation-based solutions. Numerical examples confirm the merits of the proposed algorithm. © 2014 IEEE. © 2015 IEEE. Considering a dense small-cell network with simultaneous wireless information and power transfer (SWIPT), this work jointly designs transmit beamformers at the base stations (BSs) and receive power splitting ratios at the users (UEs). Our objectives is to maximize the minimum UE signal-to-interference-plus-noise-ratio (SINR) under BS transmit power and UE minimum harvested energy constraints. This problem is highly nonconvex, for which semidefinite programming (SDP) relaxation may even fail to locate a feasible solution. We propose an efficient spectral optimization method by expressing the rank-one constraints as a single reverse convex nonsmooth constraint and incorporating it in the optimization objective. The proposed algorithm practically achieves the theoretical bound given by SDP relaxation with almost similar complexity. © 2015 IEEE. Cooperative communications using the Alamouti space-time block code (STBC) has been mentioned intensively. However, to our knowledge, an in-depth error performance analysis for a space-time coded cooperative communications system, where each node acts as both a source node and a relay node for its partner, has not been reported. Intuitively, cooperative communications would not always be better than direct transmission, but only under certain conditions. This paper first derives an exact performance analysis of the Alamouti STBC cooperative communications for a Binary Phase Shift Keying (BPSK) constellation, which could be extended to a higher density modulation scheme. This mathematical analysis facilitates the source nodes to decide pro-actively whether cooperative communications or direct transmission should be used, depending on the channel conditions between the sources themselves and the channel conditions between the sources and the destination. The anterior knowledge of which transmission mode should be used before nodes actually engage in cooperation is useful to keep system operations as simple as possible, while assuring that cooperative communications is definitely beneficial once it is in place. The analytical error performances are then verified by simulations and in-depth discussions on the simulation results are presented. © 2015 IEEE. This paper is concerned with the optimal association of user equipments (UEs) to the base stations, which are either a macro base station or pico base stations, for the sum rate utility in a cooperative heterogeneous network (HetNet). This is a nonconvex combinatorial problem. By recasting the problem as a d.c (difference of convex (d.c.)) program, the optimal association solution is sought by d.c iterations (DCI), each of which solves a simple convex quadratic problem over a convex set. Numerical simulation shows the efficiency of the proposed procedure in term of performance and computational time. © 2015 IEEE. 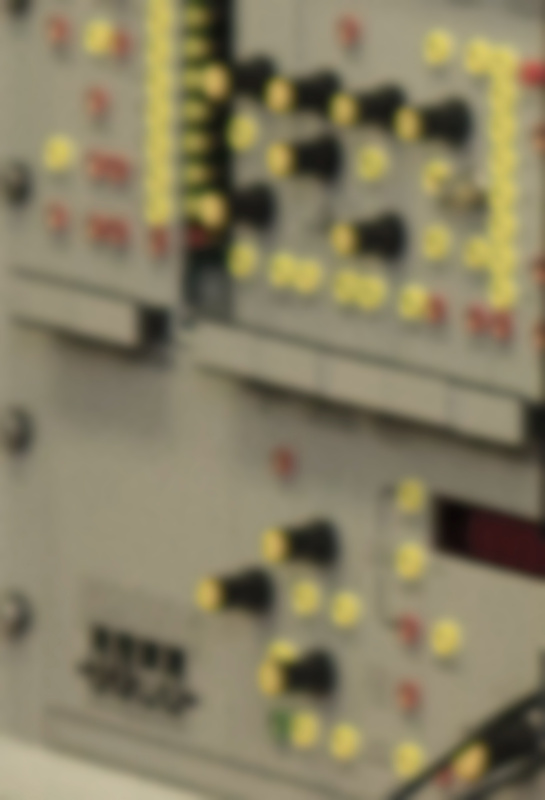 We consider a multicell network where an amplify-and-forward relay is deployed in each cell to help the base station (BS) serve its cell-edge user. We assume that each relay scavenges energy from all received radio signals to process and forward the information data from the BS to the corresponding user. For this, a power splitter and a wireless energy harvester are implemented in the relay. Our aim is to minimize the total power consumption in the network while guaranteeing minimum data throughput for each user. To this end, we develop a resource management scheme that jointly optimizes three parameters, namely, BS transmit powers, power splitting factors for energy harvesting and information processing at the relays, and relay transmit powers. As the formulated problem is highly nonconvex, we devise a successive convex approximation algorithm based on difference-of-convex-functions (DC) programming. The proposed iterative algorithm transforms the nonconvex problem into a sequence of convex problems, each of which is solved efficiently in each iteration. We prove that this path-following algorithm converges to an optimal solution that satisfies the Karush-Kuhn-Tucker (KKT) conditions of the original nonconvex problem. Simulation results demonstrate that the proposed joint optimization solution substantially improves the network performance. © 2015 IEEE. Cognitive networks (CN) introduce an adaptable network architecture which enables efficient sharing of transmission resources among heterogeneous networks. Traditional CN architecture requires each network devices to independently employ channel sensing mechanisms to discover free (or white) spectrum that can be temporarily borrowed for its own use. However, the distributed physical layer-based channel borrowing techniques cannot guarantee the quality-of-service (QoS) requirements of primary and secondary users in a CN due to the lack of channel availability information. On the other hand, the FCC regulations introduced in 2010 allowed the use of Geo-Location Database (GDB) as the primary means of determining white space availability. Using GDB-based CN network architecture could offer significant QoS advantages. In this paper, we propose a new GDB-based QoS-aware CN architecture and secondary channel allocation technique that guarantees predictable and stable QoS for the secondary users. The proposed channel allocation technique uses statistical QoS estimation to predict the radio resource requirements of secondary users. We also propose to deploy a centralized channel manager that uses both proactive and reactive resource allocation techniques to allocate the white spectrum among secondary users. An OMNeT++ based CN simulation model has been developed to evaluate the proposed secondary channel allocation technique for an IEEE802.11 based cognitive WiFi network. Simulation results show that the proposed secondary channel allocation technique offers significant QoS advantages and stability to secondary users compared to the conventional distributed channel sensing technique. © 2015 IEEE. With the increasing deployment of wireless sensor networks (WSNs), the demand for energy efficiency (EE) and Quality of Service (QoS) guarantee for such networks is on the rise. In a distributed WSN, the EE could be directly related to the operational expenditure (OPEX) due to the frequent replacement of batteries. An increasing EE helps prolong the network lifetime. Energy efficiency in a WSN can be improved by optimising PHY and MAC layer algorithms. In this paper, we introduce an adaptive energy efficiency algorithm, known as ABSD that changes the MAC parameters of the IEEE 802.15.4 sensor nodes in response to the queue occupancy level of sensor nodes and the offered traffic load conditions. By adapting the transmission parameters, the ABSD algorithm minimises the network contention which could in turn improve the energy efficiency as well as the throughput. The paper also presents a mathematical model to characterise the energy consumption processes controlled by the IEEE 802.15.4 MAC layer. Our ABSD algorithm is simulated by using an OPNET-based discrete event simulation model. Simulation results show that the proposed algorithm offers high EE and maintains high QoS for different offered load conditions. © 2015 IEEE. This paper considers a heterogeneous multicell network where the base station (BS) in each cell communicates with its cell-edge user with the assistance of an amplify-and-forward relay node. Equipped with a power splitter and a wireless energy harvester, the relay scavenges RF energy from the received signals to process and forward the information. In the face of strong intercell interference and limited radio resources, we develop a resource allocation scheme that jointly optimizes (i) BS transmit powers, (ii) power splitting factors for energy harvesting and information processing at the relays, and (iii) relay transmit powers. To solve the highly non-convex problem formulation of sum-rate maximization, we propose to apply the successive convex approximation (SCA) approach and devise an iterative algorithm based on geometric programming. The proposed algorithm transforms the nonconvex problem into a sequence of convex problems, each of which is solved very efficiently by the interior-point method. We prove that our developed algorithm converges to an optimal solution that satisfies the Karush-Kuhn-Tucker conditions of the original nonconvex problem. Numerical results confirm that our joint optimization solution substantially improves the network performance, compared to the existing solution wherein only the received power splitting factors at the relays are optimized. © 2015 IEEE. This paper develops power allocation schemes to manage the signal interference in a multiuser multicell network, where full-duplex transceivers are implemented at all base stations (BSs) and user equipment units (UEs). Beside the acute intracell and intercell interferences, the significant residual self-interference at the full-duplex receivers is the limiting factor for any network performance enhancement. To help control such severe interferences, we propose to associate each bidirectional full-duplex link with a net utility function, which consists of a utility and a flexible price. While the utility corresponds to the link throughput, the proposed logarithmic cost function allows for a moderate penalty. Our aim is to maximize the sum network utility subject to the power constraints at the BSs and UEs. To solve the highly nonconvex problem formulation, we propose two successive convex approximation (SCA) algorithms based on the difference-of-convex-functions programming and the geometric programming. In each algorithm, we specifically tailor the generic SCA framework and transform our formulated nonconvex problem into a sequence of convex power allocation programs. We prove that the developed iterative algorithms converge to locally optimal solutions that satisfy the Karush-Kuhn-Tucker conditions of the original problem. Numerical results confirm that our utility-based solutions markedly improve the network throughput by effectively managing the interferences. © 2015 IEEE. This paper considers the Han-Kobayashi transmission strategy that mitigates the downlink intercell interference in a multiuser multi-input multi-output (MU-MIMO) multicell network. The base station (BS) splits the transmitted data of a user (UE) into a common message and a private message, the former of which is then decoded by a paired UE in another cell so as to reduce the respective cross-cell interference. Our aim here is to develop (i) A pairing rule that determines pairs of UEs to share common messages, and (ii) Optimal precoders at the BSs that maximize either the minimum UE throughput or the network sum-rate. To solve the combinatoric UE pairing problem, we propose a heuristic that pairs UEs with the largest corresponding cross-cell channel gains. This approach ensures that the most significant source of intercell interference is eliminated through common message decoding. We then apply the Frank-and-Wolfe procedure of concave programming to solve the highly nonconvex precoder design problems. We show that this procedure generates a sequence of improved solutions and eventually converges to at least a local optimum. Numerical results confirm the advantages of our proposed solution over the conventional strategy where intercell interference is treated as noise. © 2014 IEEE. In a vehicular ad hoc network (VANET), basic safety messages (BSM) are exchanged among vehicles to provide cooperative awareness and support safety applications. While the periodic generation and transmission of such messages already place a heavy burden on the network load, the hidden nodes further complicate the network situation with packet collisions being undetectable. In this paper, we propose a space-division multiple access (SDMA) technique combined with an adaptive rate control mechanism to improve the efficiency of BSM transmissions. With SDMA to reduce the interference among the vehicles and address the hidden-node problem, only vehicles located sufficiently far apart are allowed to reuse the same time slot to send their BSMs. The developed SDMA approach permits multiple transmissions per road segment and uses Carrier Sense Multiple Access with Collision Avoidance (CSMA/CA) in each segment, giving rise to a much better use of both space and bandwidth. To guarantee that the actual number of BSM transmissions does not exceed the maximum allowable, we devise an adaptive scheme that optimally adjusts the individual packet generation rates in accordance to the vehicle density. Toward this end, we find an optimal bandwidth utilization that maximizes the newly-defined metric, termed as &apos;safety throughput&apos; per vehicle. Such an optimal utilization allows a large number of BSM packets to be generated while maintaining a high reception probability. Our comprehensive simulation results confirm the clear advantages of our proposal over the existing techniques, in terms of safety range, BSM packet inter-arrival time, and safety throughput. This paper addresses the critical problem of interference management in two-tier networks, where the newly-deployed femtocell users (FUEs) operate in the licensed spectrum owned by the existing macrocell. A Pareto-optimal power-control algorithm is devised that jointly maximizes the utilities of both macrocell and femtocell networks while robustly guaranteeing the macrocell&apos;s quality-of-service (QoS) requirements. After effectively enforcing the minimum signal-to-interference-plus-noise ratios (SINRs) prescribed by the macrocell users (MUEs) with the use of a penalty function, the Pareto- optimal boundary of the strongly-coupling SINR feasible region is characterized. Based upon the specific network utility functions and also the target SINRs of the MUEs, a unique operating SINR point is determined, and transmit power adapted to achieve such a design objective. We prove that the developed algorithm converges to the global optimum, and more importantly, it can be distributively implemented at individual links. Effective mechanisms are also available to flexibly designate the access priority between macrocells and femtocells, as well as to fairly share the system resources among different users. The merits of the proposed approach are verified by numerical examples. © 2012 IEEE. This paper considers a two-tier cellular network wherein femtocell users, who communicate with their home-owner-deployed base stations, share the same frequency band with macrocell users by code-division multiple access (CDMA) technology. Since macrocell users have strictly higher priority in accessing the available radio spectrum, their quality-of-service (QoS) performance, expressed in terms of the minimum required signal-to-interference-plus-noise ratio (SINR), should be maintained at all times. Femtocell users, on the other hand, are allowed to exploit residual network capacity for their own communications. In this work, we develop a joint power- and admission-control algorithm for interference management in such two-tier networks. Specifically, throughput-power tradeoff optimization is achieved for femtocell users while all macrocell users being supported with guaranteed QoS requirements whenever feasible. Importantly, the proposed algorithm makes power and admission control decisions in an autonomous and distributive manner with minimal coordination signaling, a desirable feature in two-tier networks where only limited exchange of signaling information can be afforded on backhaul links. Under certain practical conditions, the developed scheme is shown to converge to a stable solution. An effective technique is also proposed to improve the efficiency of such equilibrium in lightly-loaded networks. The performance of our proposed algorithm is demonstrated by numerical results. © 2011 IEEE. The problems of designing signature sequences and power allocation policy for code-division multiple access (CDMA) are important and have been the subject of intensive research in recent years. Two different criteria adopted in such design problems are the user capacity and the information-theoretic capacity. Regarding the maximization of the information-theoretic capacity, most of the previous works only consider the optimizations of signature sequences and power allocation separately. In contrast, this paper presents a jointly optimal design of signature sequences and power allocation under the sum power constraint. The proposed design is of closed-form and applicable for the general case of correlated signals and colored noise. Numerical results verify the superiority of the proposed design over the existing ones. © 2007 IEEE.